“With evocative grace, and the authority of real experience, the Kamata takes us on a tour through a garden of lives which touch Japan. Each story wanders as delicately as a small stream, with jewel-like descriptions and plot points waiting to be discovered around every corner. 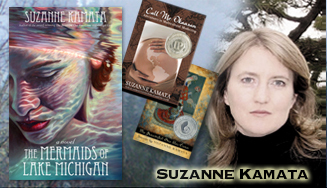 ﻿Suzanne Kamata was born and raised in Grand Haven, Michigan. She is most recently from Lexington, South Carolina, and now lives in Tokushima Prefecture, Japan with her husband and two children. Her short stories, essays, articles and book reviews have appeared in over 100 publications including Real Simple, Brain, Child, Cicada, and The Japan Times. Her work has been nominated for the Pushcart Prize five times, and received a Special Mention in 2006. 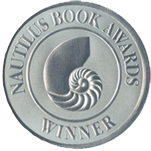 She is also a two-time winner of the All Nippon Airways/​Wingspan Fiction Contest, winner of the Paris Book Festival, and winner of a SCBWI Magazine Merit Award. In this novel, Elise Faulkner is more at home in the waters of her beloved lake than on land where her beauty queen mom is always on her back about her lack of a social life; her sister is dating the boy of her dreams; her favorite penpal—the one who wrote about mermaids in Ghana—has gotten married and ended their correspondence; and no one’s allowed to talk about her glamorous great-grandmother, the deep-sea wreck diver. Elise is biding her time with books until she can flee. But then Chiara Hanover pops into her life, as does Miguel, the man of her destiny. These stories cross countries and cultures while exploring universal matters of the heart. The Beautiful One Has Come is about a young Japanese woman who nurtures an obsession with Nefertiti—with tragic results. In “Polishing the Halo,” an American mother in Japan grapples with news of her daughter’s disability while in “Mandala,” an eccentric Japanese doctor provides an unlikely haven for a newly divorced expat. What happens when your child doesn’t speak your native language? How do you maintain cultural traditions while living outside your native country? How can you raise a child with two cultures without fracturing his/her identity? From our house, to your house, to the White House, more and more mothers are facing questions such as these. Whether through inter-cultural marriage, international adoption or peripatetic lifestyles, modern families are increasingly multicultural. In this collection, women around the world ponder the unique joys and challenges of raising children across two or more cultures.